I'm with you, those silvery leaves dotted with water drops are too pretty to cut back. Thanks for sharing! What a gorgeous plant! The coloring on the blooms in spectacular! It's always a bonus when plants provide more than one season of interest. 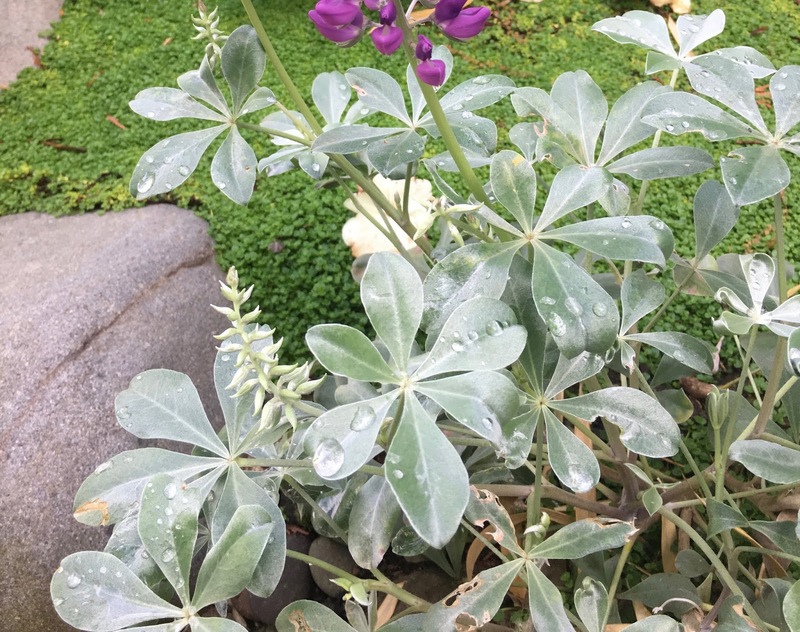 What a pretty plant, leaves and all! :) I love lupines but, living in Maine, have never seen your species. So glad you highlighted this great plant. Thank you Evan for the seedlings! Mine, in full sun and really well-drained soil (baking hot...let's be honest) is also doing well. I can't cut mine back either, Jane. Don't have the heart for it! Embarrassingly I am not growing this , even though I am right here in it's range. 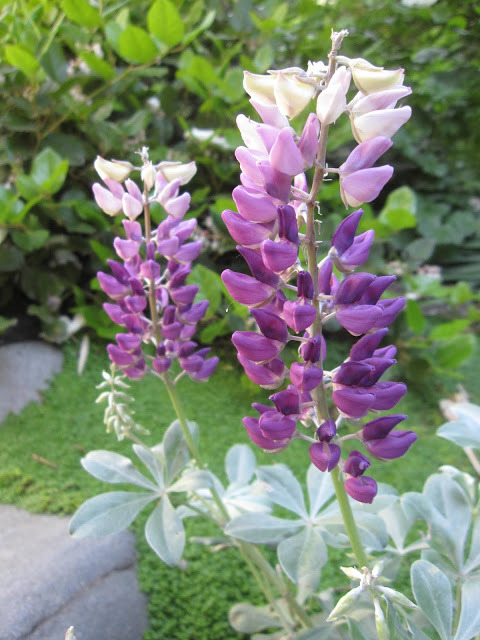 I love all lupines and have managed horti-cide on many types. I need to give this one a go . What interesting leaves! Thanks for introducing me to this plant. Wonderful. 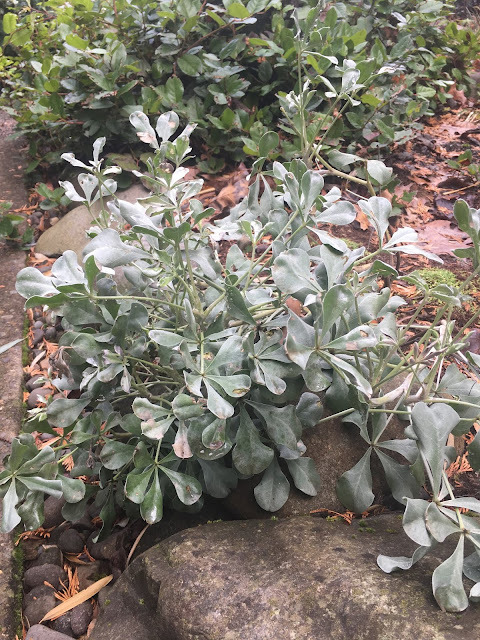 Silver foliage is my special obsession. Well, one of them! It looks good with those rocks, too. Very beautiful flower. Thanks for sharing information. So often silver leaves are paired with nasty mustardy yellow flowers. This silver and purple is a happy pairing.